I recently was selected by Influenster to be one of the first Canadians to test out the #MapleVoxBox from #Influenster . In my box I got a free clay mask from Montagne Jeunesse Spas in pomegranate ... I really loved the smell of the mask and I love how it made my skin feel after I had it on but I felt that the mask was way too large for my tiny lil face :( .... All in all I will re-purchase this product as I do love these masks because they help me relax after a long and crazy work week ;) these masks are also super affordable at the low cost of 2.37$ from Walmart.ca . 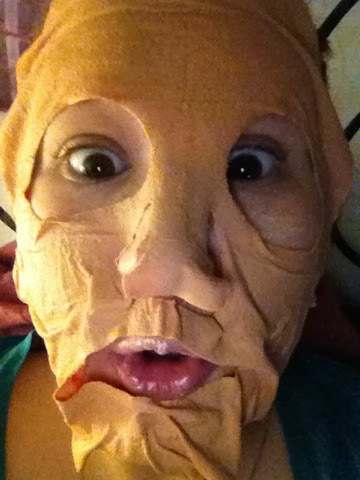 Here is a silly photo of me wearing the face mask .